Face rotation angle adjustment method to achieve a higher performance of face authentication system and also an accurate skull fitting method to a head part of face image to estimate a stable local coordinate when facial expression change are composing a recent our hot topics. 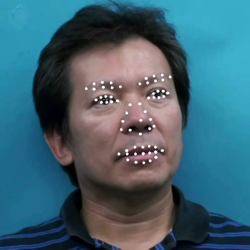 Based on these basic techniques, applications for a fat and slim simulation of face image by skull fitting method, an accurate face landmark point detection with small database and a highly accurate detection of an early stage of car driver’s drowsiness in a dashboard mounted video are also included in this project. 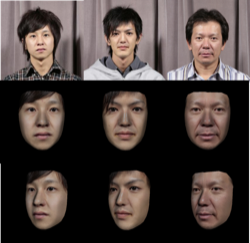 Recently, a modeling of personal characteristics in face is focused and tackled strongly to improve a face aging performance and to control a real variation of attribute in face. This project is supported by Ministry of Education, Culture, Sports, Science and Technology and OKI cooperation. 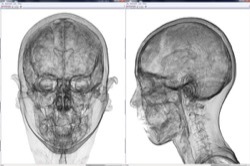 A location of skull is estimated based on MRI database. The slim-fat simulation is realized by controlling a thickness of a fat layer. 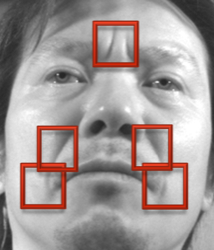 Results of estimated face geometry. 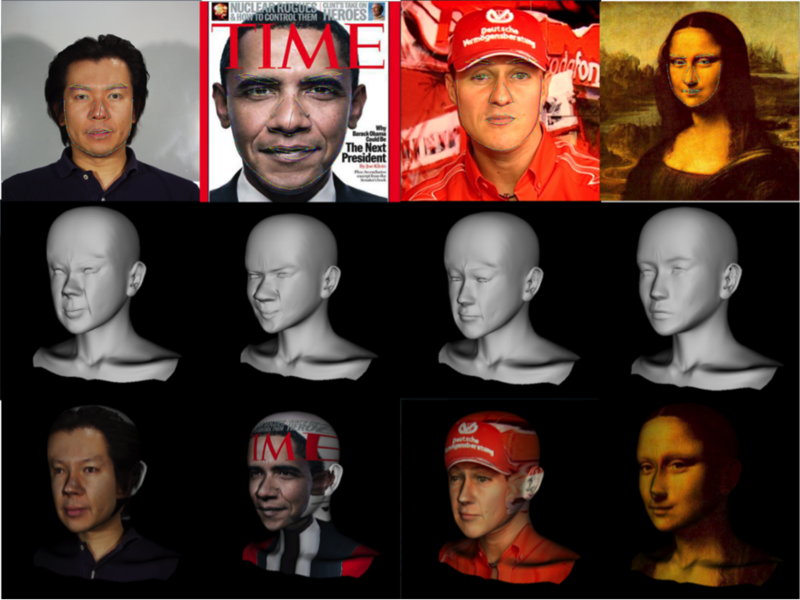 Based on upper images, face geometry is estimated as a shading model in the middle and texture mapped image in the bottom.